The easiest way to learn how to compost is to build a compost pile. 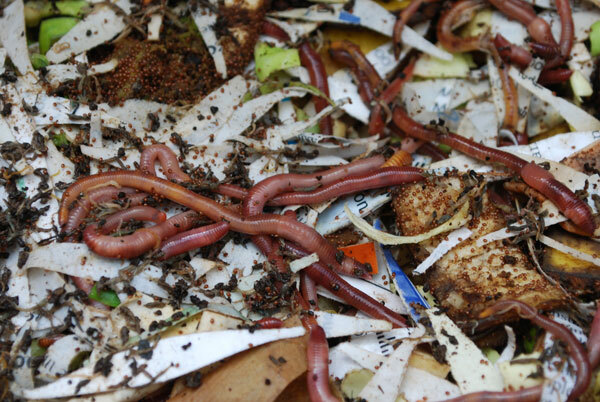 This can be as simple as layering garden waste and kitchen scraps in a pile, but it's usually better to contain the sprawl of a pile by composting inside a compost bin or compost cylinder. 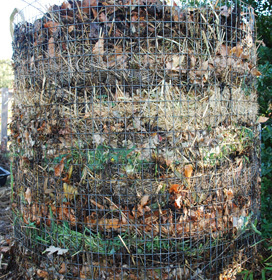 In this photo, alternating "green" and "brown" materials are layered inside a wire cylinder ("lasagna composting). See Compost Ingredients for an explanation of "green" vs. "brown" compost materials, and how to balance them. In organic gardening, the most important soil amendment is compost—how to make it is the question. Or how to make compost well. Ready to get started? 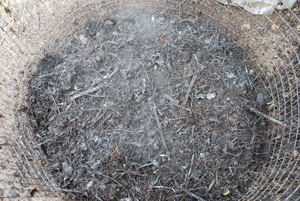 Compost Ingredients will help in selecting compost materials and getting the right balance between carbon and nitrogen in your compost pile. Learning how to compost boils down to making sure your microbial allies have enough air and water to convert your waste stream into gardeners’ black gold, compost. Composting Basics provides composting instructions on site selection, materials, aeration, moisture levels, and curing compost piles. 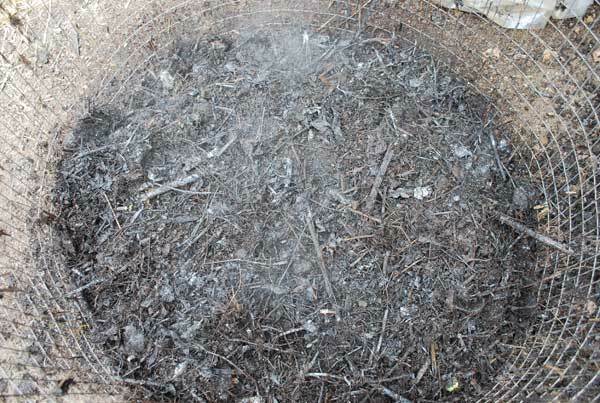 If you want a high-quality, fine-textured, compost that’s free of viable weed seeds and plant diseases—and you want it quickly—then Hot Composting is the best method. But it will take some attention and effort, especially the first two weeks. If you’re looking for easy composting methods, or just trying to figure out how to compost your kitchen and yard waste without a lot of work—and you’re not in a hurry for your compost—then Static Pile Composting is the method of choice. Even apartment dwellers can use a Worm Composting System to convert a significant part of their kitchen waste stream into valuable organic fertilizer for growing vegetables in containers, or for feeding house plants. 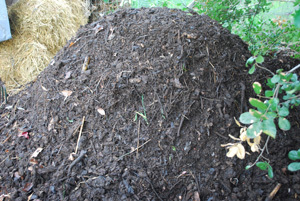 The pile is the basic composting unit, but there are many variations. Compost Piles work to break down kitchen and garden wastes, but they tend to sprawl and can look untidy, so they may not be appropriate on small lots with close neighbors. Compost Bins are a way of containing and consolidating compost piles, so they take up less space on suburban lots, are neater, and don’t offend the neighbors (or municipal codes). They also help deter rodents from burrowing into the pile to eat kitchen scraps. 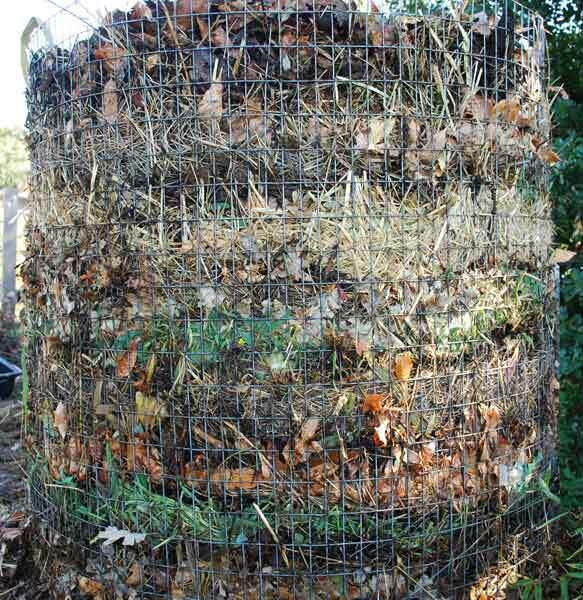 By “stacking” the compost pile, a compost bin retains moisture better than a pile, and holds in compost heat, for accelerated composting. Compost tumblers simplify aerating the compost pile. A compost tumbler is a drum mounted on a frame or axle that allows the user to turn the entire drum, either using a hand-crank with gears, or by spinning the tumbler itself on its axle. As the drum turns, the compost inside rolls like wet laundry in a clothes dryer, and is mixed and aerated in the process. Compost tumblers are a great idea, but the better models can be pricey, and compost tumblers have their own set of issues. Learning how to compost boils down to making sure your microbial allies have enough air and water to continue converting your waste stream into gardeners’ black gold, compost.